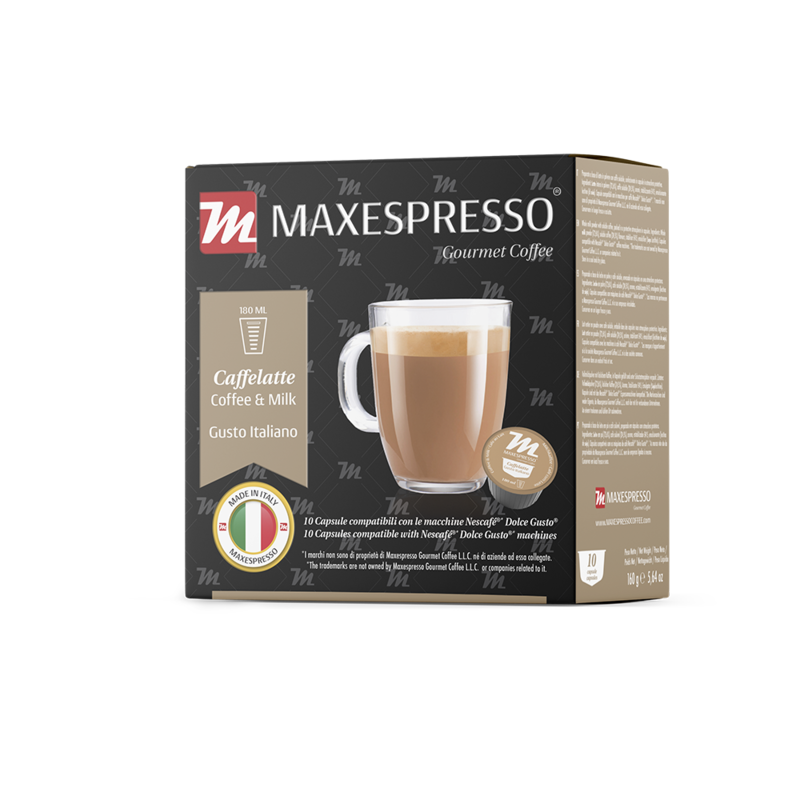 L’altezza massima del caffè in Maxespresso Gourmet Coffee family. Some have such sophisticated tastes that only products created at this level can satisfy their requirements. 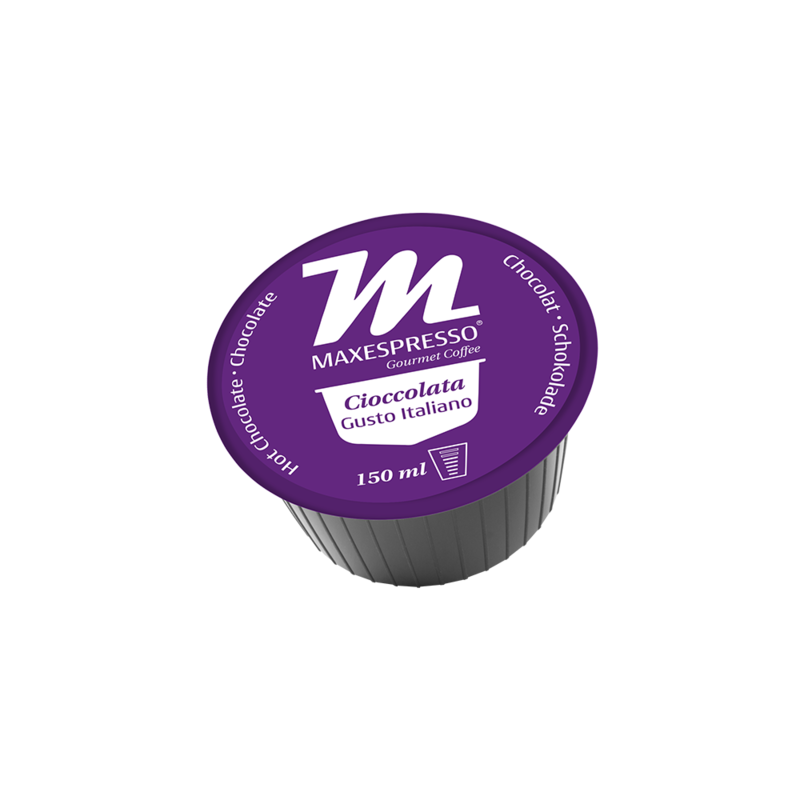 If you are one of those people, we have the perfect product line for you. 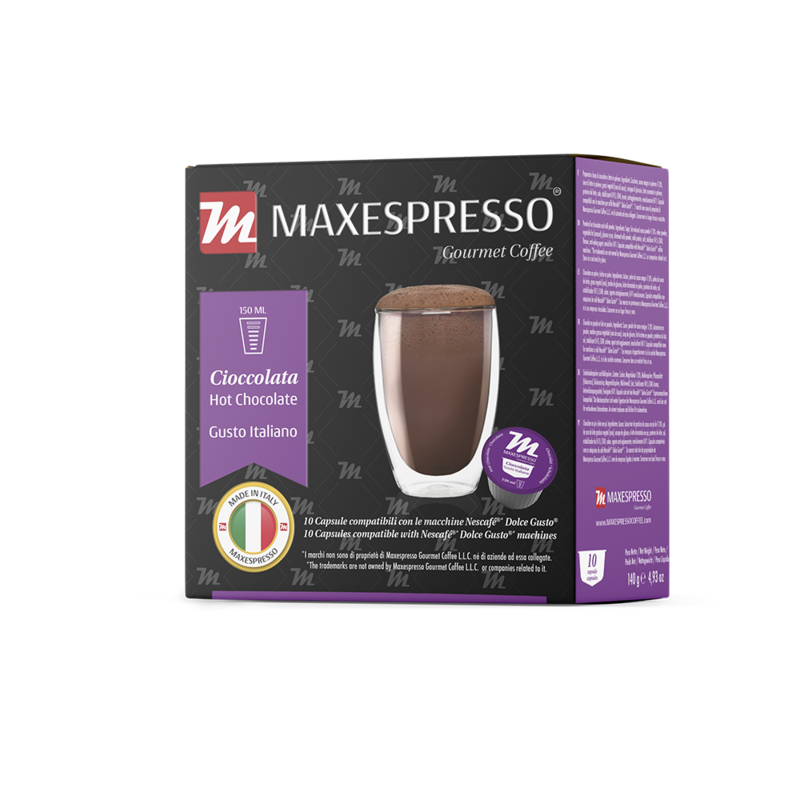 Maxespresso Gusto Italiano was born from the detail and the variety, creating an elite coffee for those who enjoy the diversity of the best flavour every day, introducing our star varieties in an exquisite presentation, in addition to the best selection of creamy drinks like Cappuccino, CaffeLatte, Latte Macchiato and Cioccolata. Do not stay without enjoying any flavour and give your palate everything it deserves. 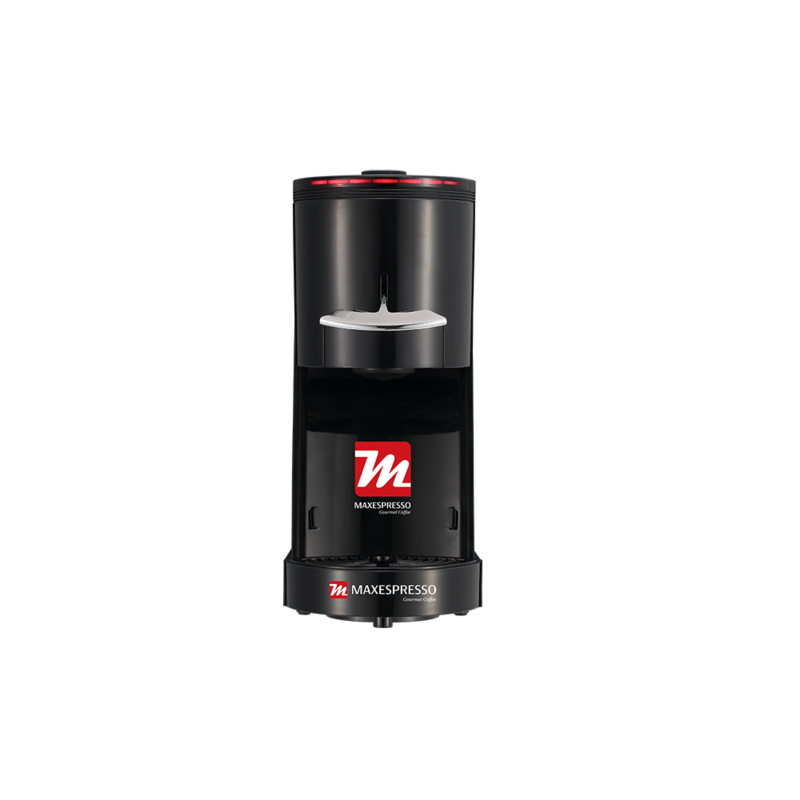 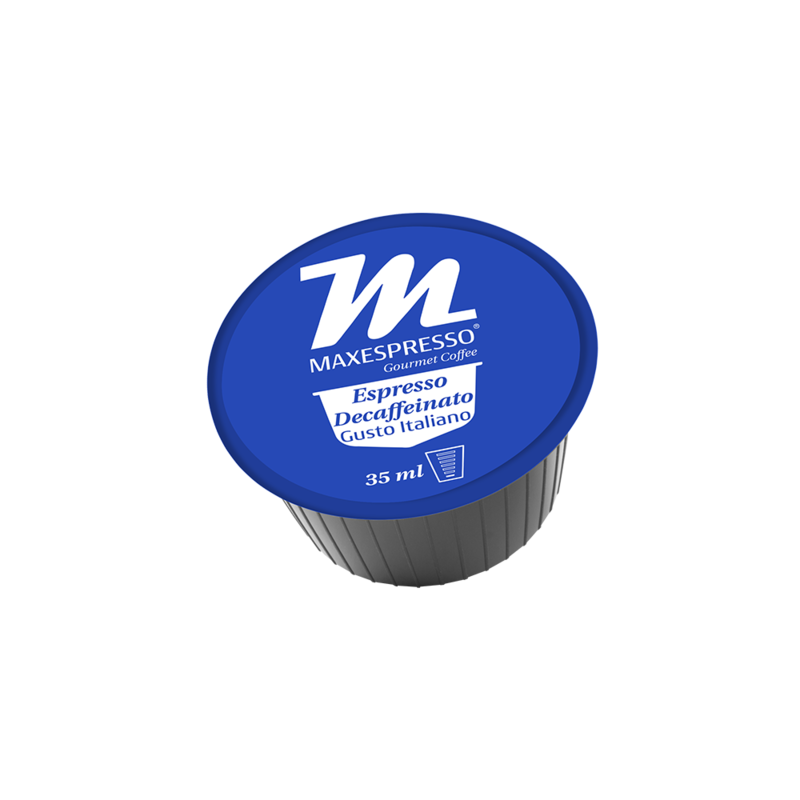 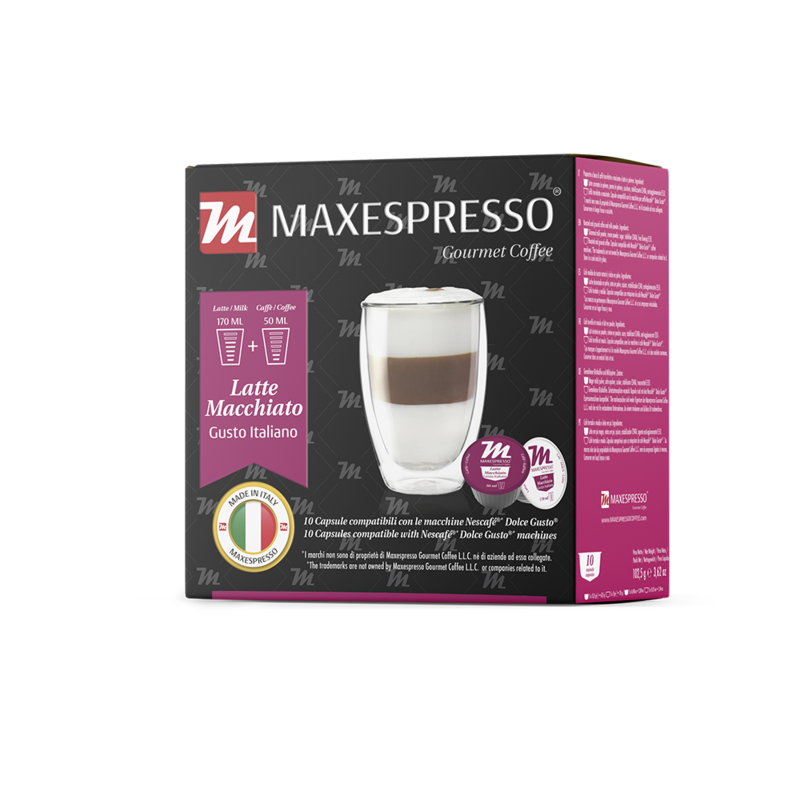 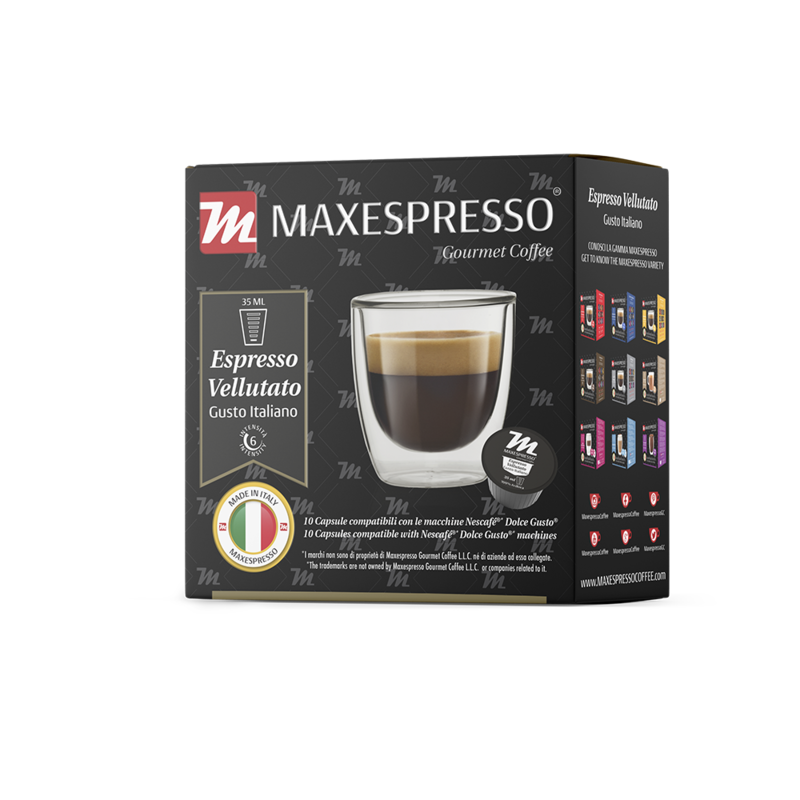 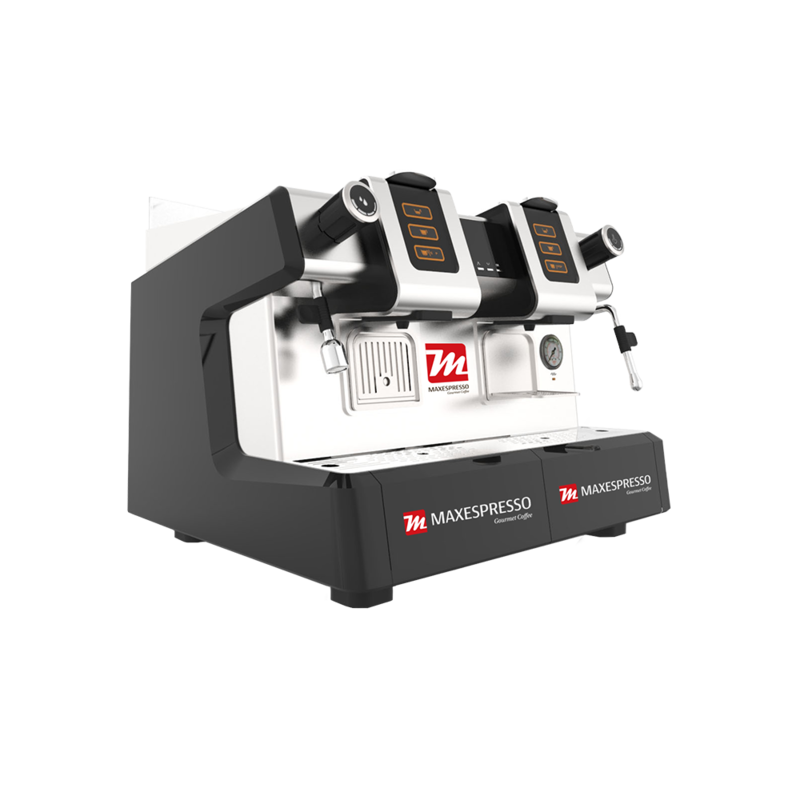 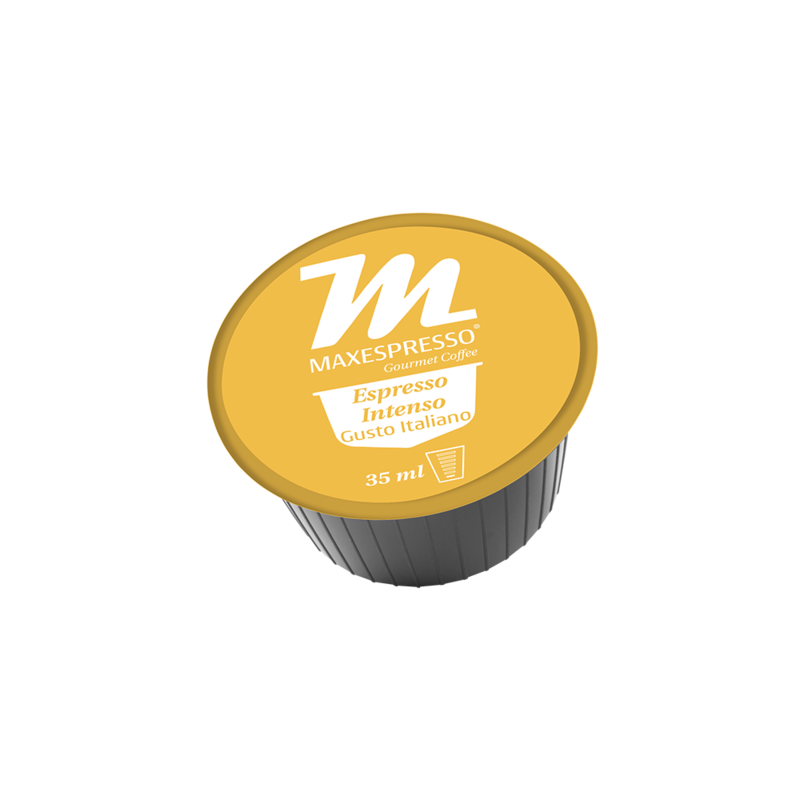 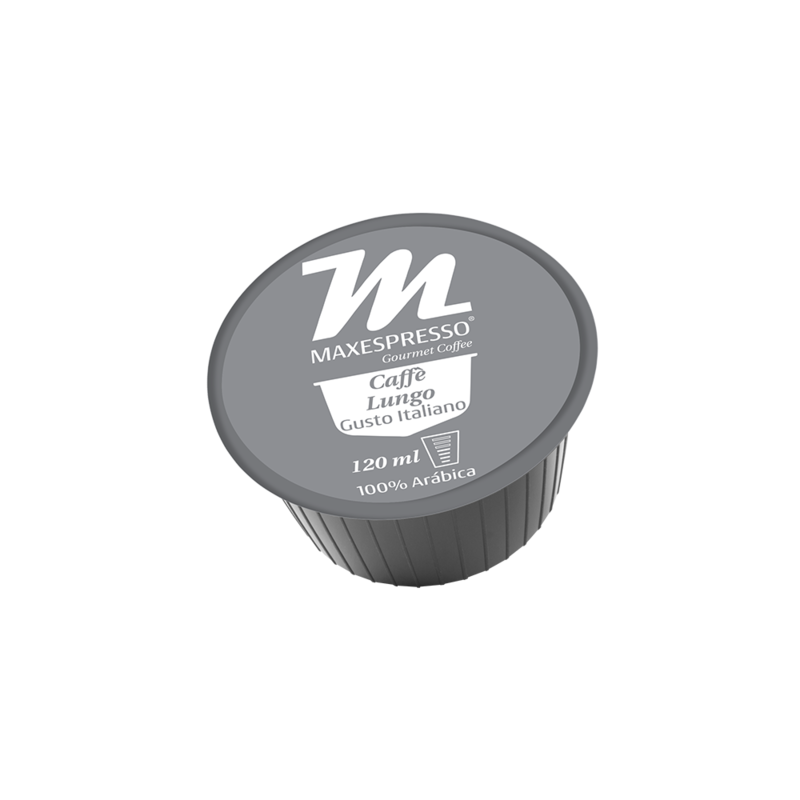 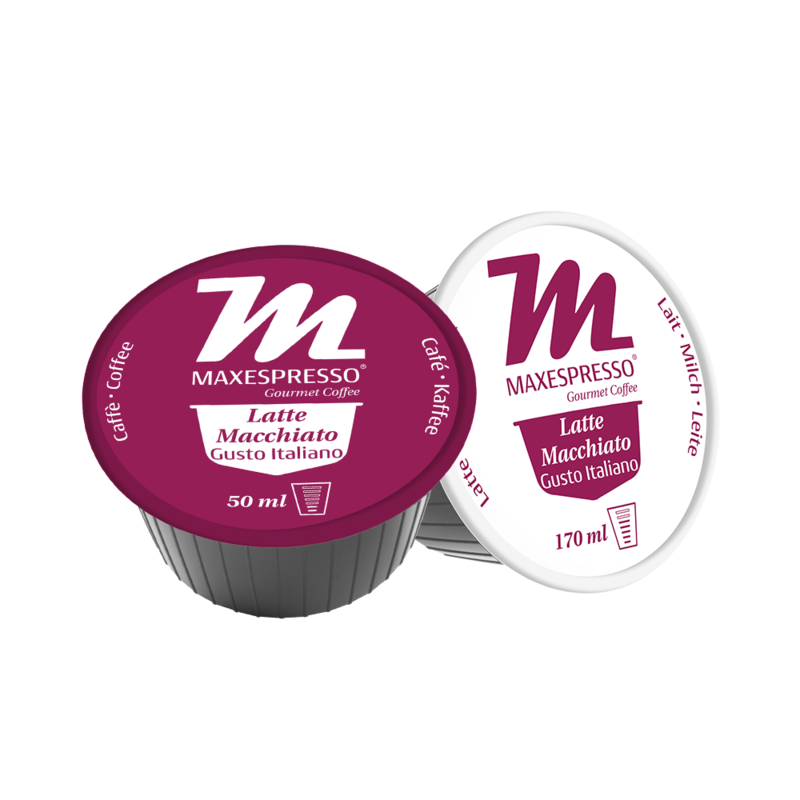 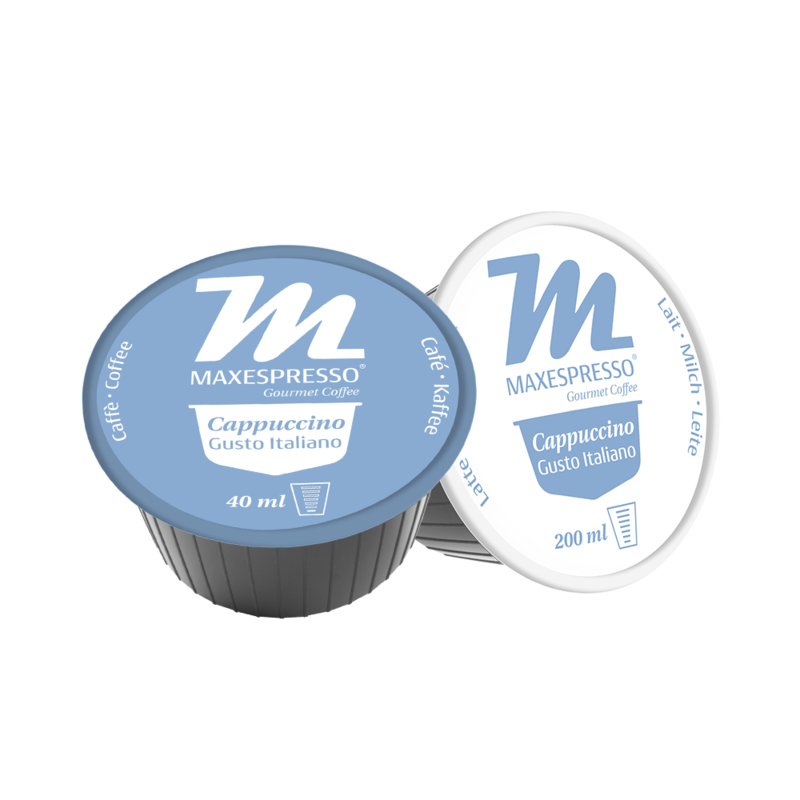 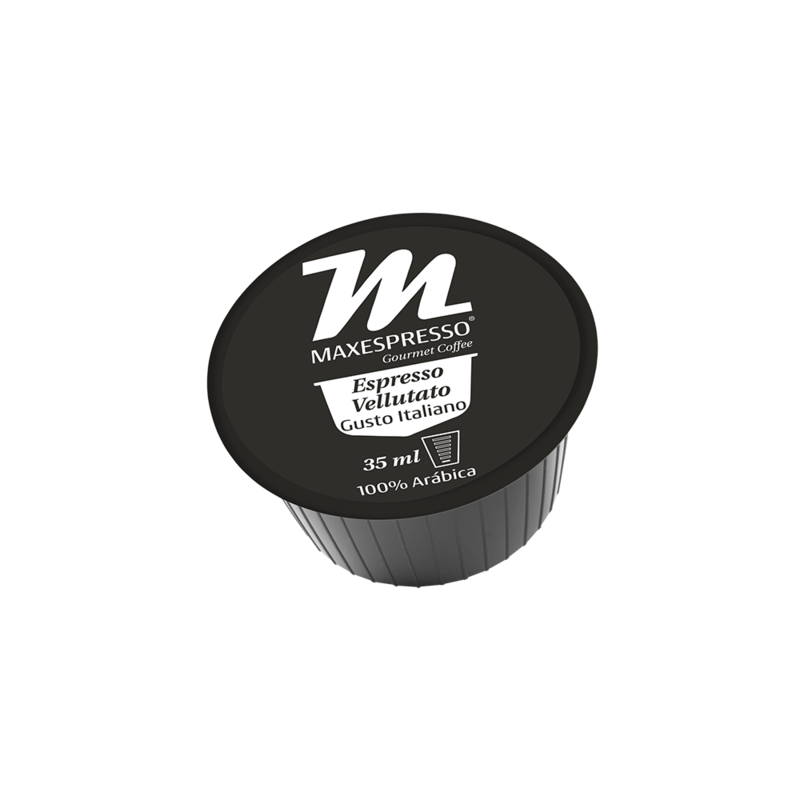 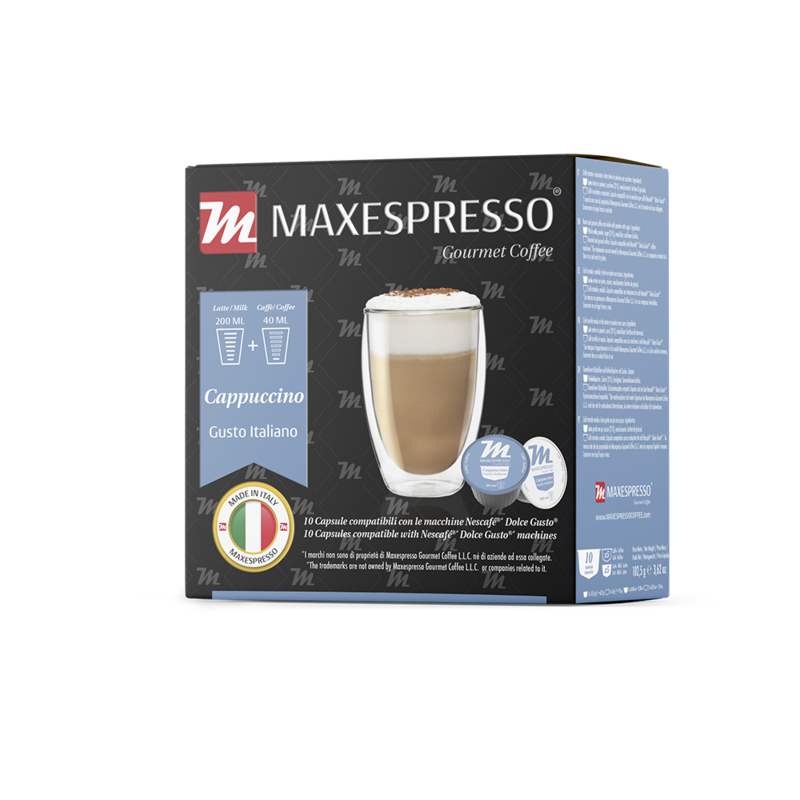 Each Maxespresso capsule is designed to be used in the Maxespresso Gusto Italiano and Maxespresso Professional machines, and also in Nescafé® Dolce Gusto® Oblo, Jovia, Piccolo, Circolo, Melody, Mini me and Genio. 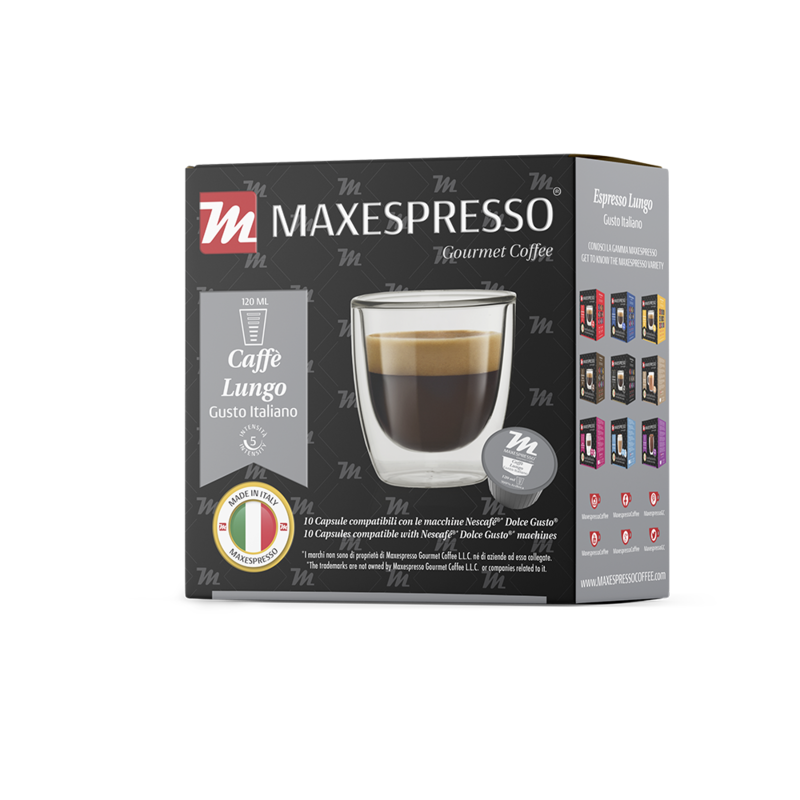 Packaged in hermetically sealed capsules with nitrogen in aluminium and box packs of 10 Capsules. 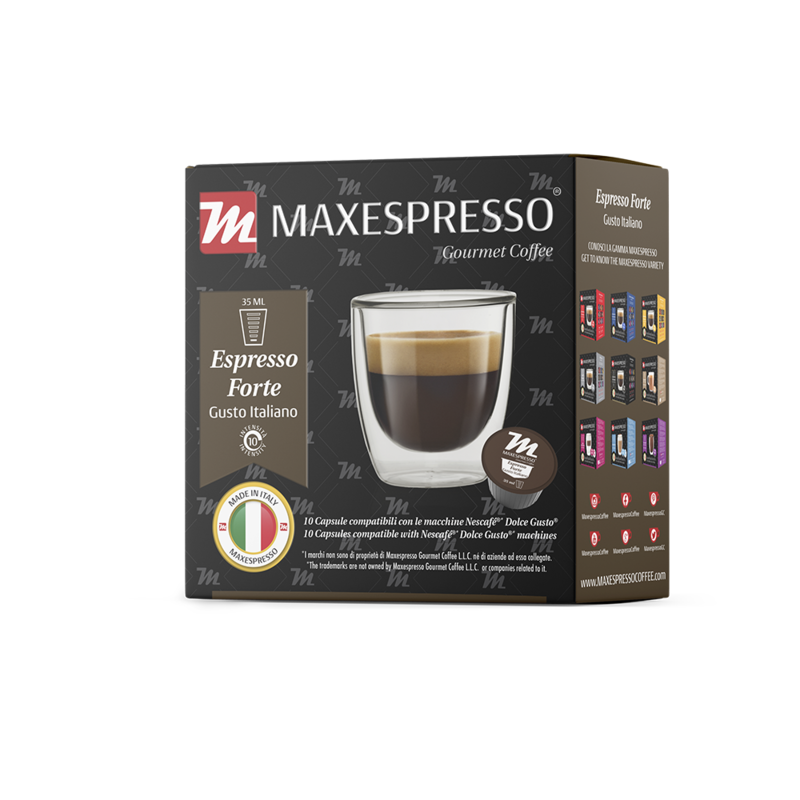 Get a creamy and delicious Espresso in a sec! With our Maxespresso Gourmet Coffee Italian Gusto capsules and the Maxespresso Italian Gusto Coffee Machine you can prepare the Espresso you love in a moment without making any mess.